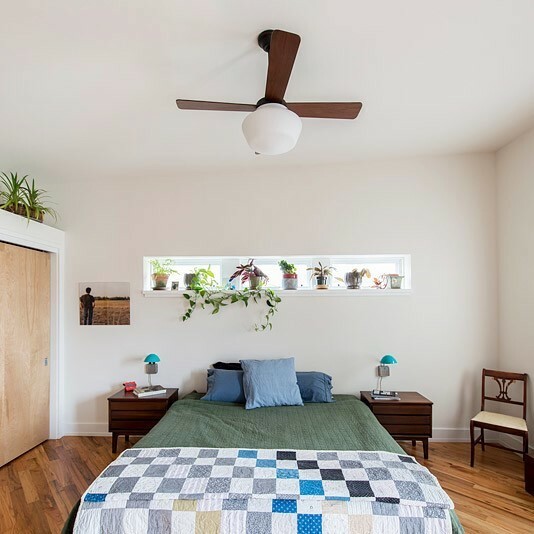 Schoolhouse ceiling fan is a model which features light. However, bulb is not included in the package. 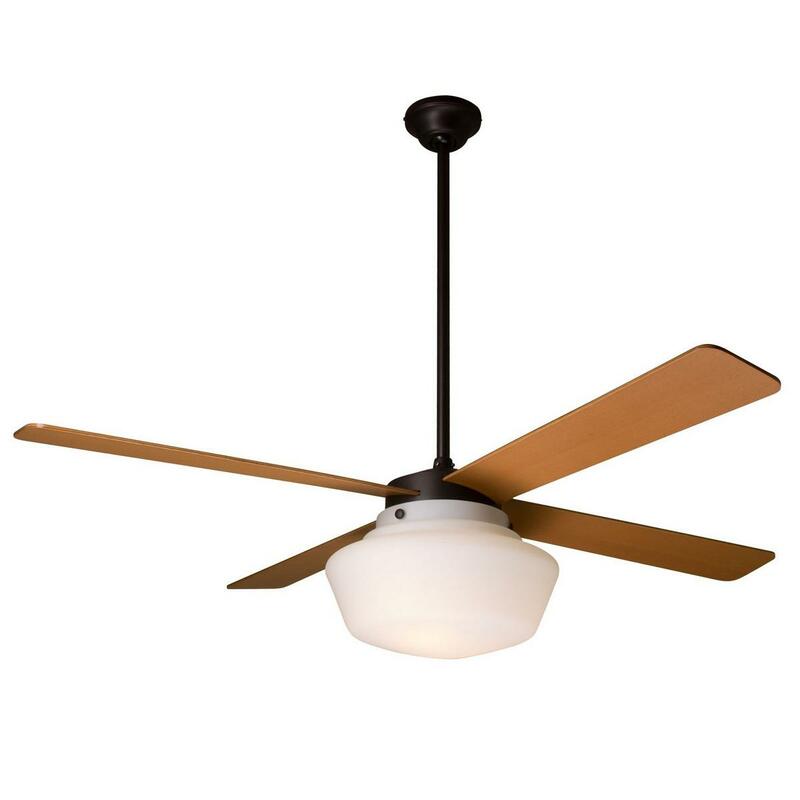 The fan is made of rubbed bronze, while its blades are made of maple. 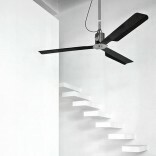 The blades of this fan are available in 106 cm and 132 cm to choose the one best fits your space. 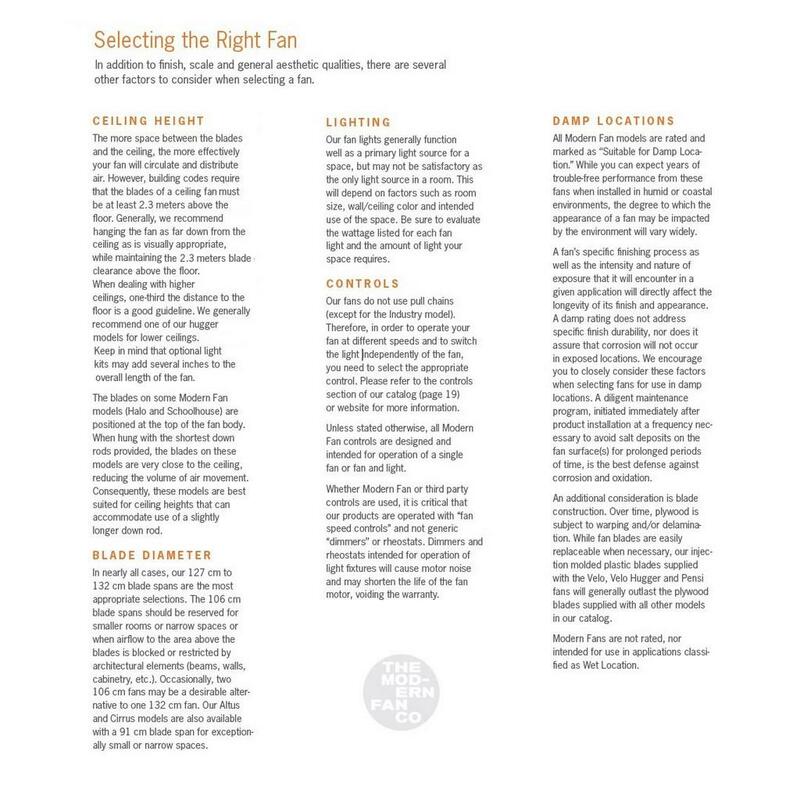 All Modern Fan Company’s ceiling fans are high performance devices, economical in consumption. 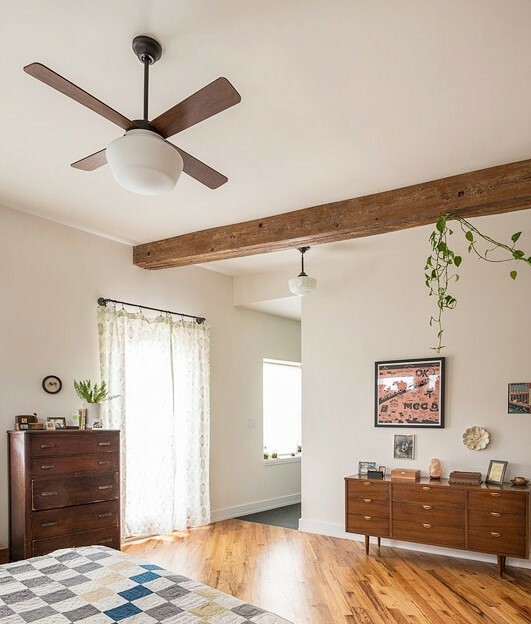 Schoolhouse ceiling fan features an airflow efficiency of 2,27 cubic meters per minute per watt. 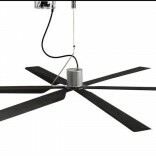 This ceiling fan ships without control system. 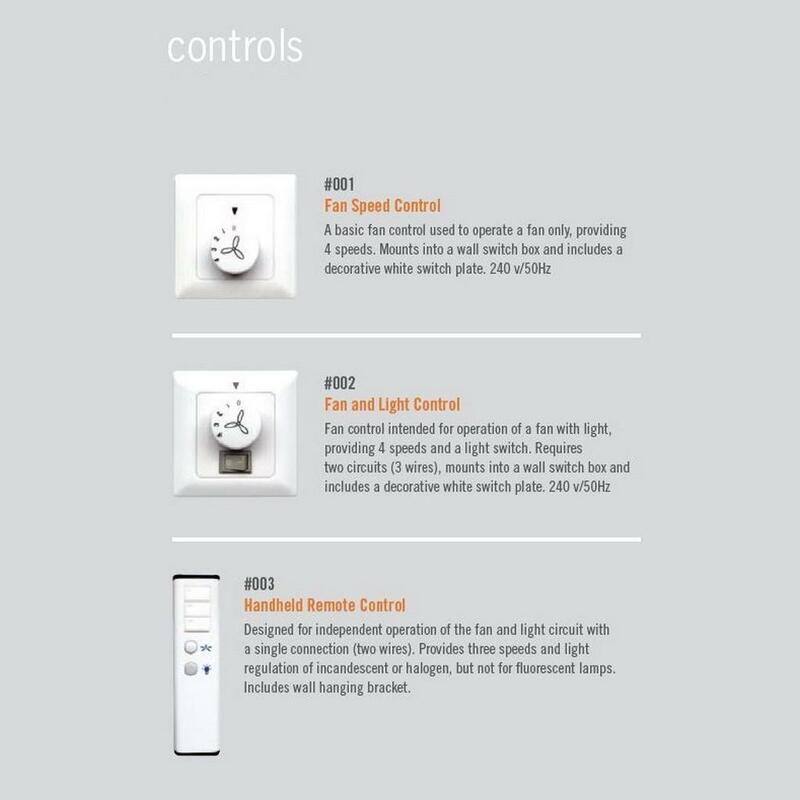 However, you can optionally choose between a wall speed control, a wall speed control and light, the remote control option or the combination consisting of the wall speed control and the remote control. Schoolhouse includes 13 cm down rods yielding 43 cm overall length and 31 cm down rod yielding 61 cm overall length. However there are additional optional accessory down rods available for longer overall lengths. Suitable use: Indoor use only. Blade Diameter: 106 cm, 132 cm. Dimensions (Installed): Height 43 cm x Ø 34 cm. Airflow: 165,67 Cubic meters per minute. Electricity Use: 72,9 Watt (Without the optional Light kit). Electricity Airflow Efficiency: 2,27 Cubic meters per minute per watt (at maximum fan speed). 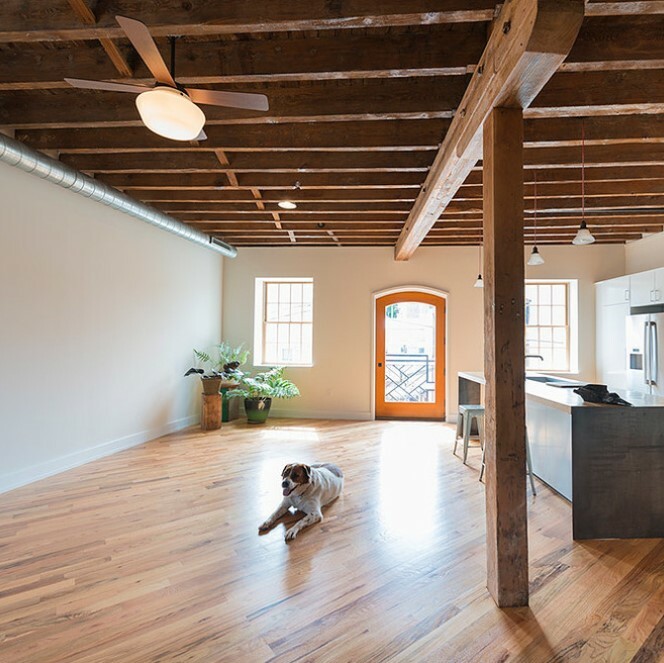 Light Kit: 2x60 W E27 [Light bulb not included].